HOw are you friending? If you’re trying to use game center then you will have issues. As of a coup-le of years ago Apple removed most of the game center infrastructure so it’s pretty much only good for backing up. If you’re not using game center, how are you friending? KNoing that can help in finding a way to get you to visit other villages. skydiver118 She's having an issue with magical Meadow. Chloe, which game are you playing, the original Smurfs’ Village, or Smurfs’ Village and the Magic Meadow? Last edited by Cupcake; 10-31-2018, 09:07 PM. Cupcake She is playing Magical Meadow. In that game, you can like random villages. 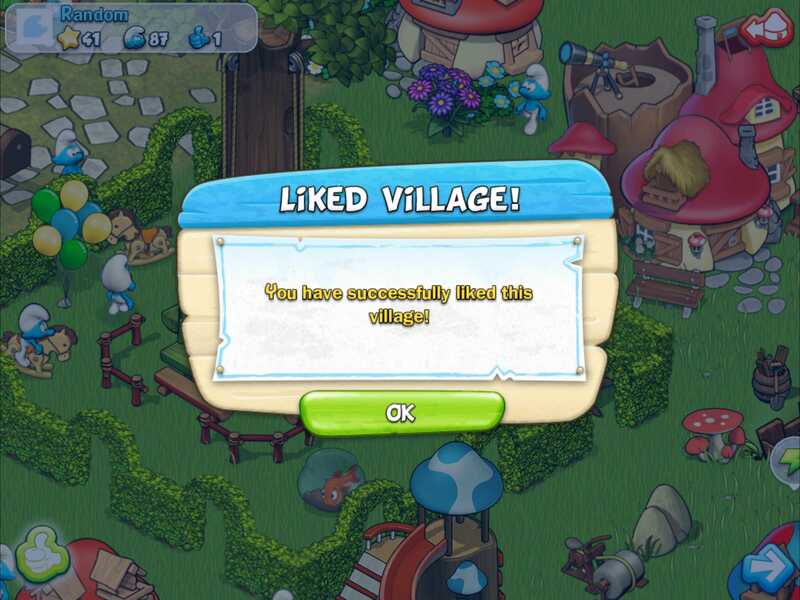 The Villages with the most likes get promoted to featured villages, and you can earn Social Heart currency which can be used to purchase items and resources/materials. Spelling Bee I thought that might be the case! Chloe21 Hello and welcome to the Community Forum! I don't seem to be having any issues visiting Random Villages and liking them on my game, but I would recommend that you go ahead and contact Bongfish Customer Support and let them know you are having this problem.